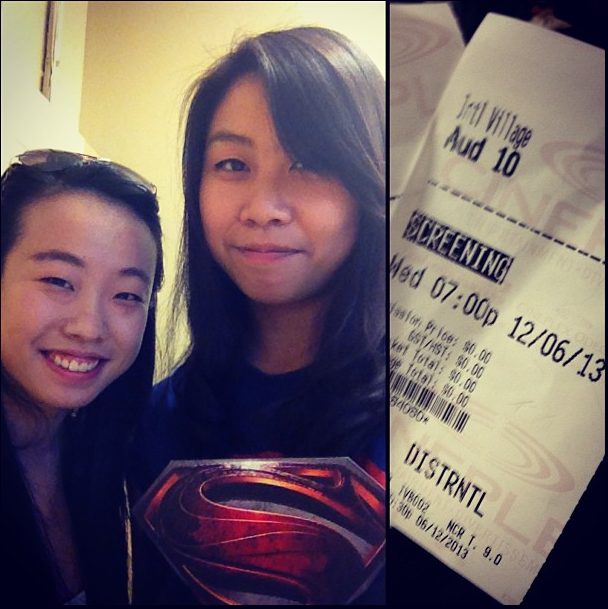 For my friend’s birthday, we went to an advanced screening of Man of Steel! If you didn’t already know, this is an origins movie. We not only see Clark Kent– or Kal-El as he is known back on Krypton– on earth as a young boy, but we actually see his parents in their home planet, as well their destruction. We see his dad fusing him with a skull-like object, which is where the blueprints of millions of their kind’s lives are saved. The villain, General Zod, gets shipped away to be reconditioned for rebelling against their planet. However, this actually saves his life (him, and his group of followers), as their old planet collapses upon itself. Back on earth, Clark’s childhood is told in a series of flashbacks as he journeys through his current life, working from job to job, always an outcast. A group of scientists discover something buried in ice and this is where Lois Lane steps in. She’s here to discover for herself what they have found, and of course, being a journalist, wants to write about the findings. This ‘thing’ turns out to be connected to Clark’s home planetm and since he’s working as part of the excavation crew, he is able to learn about his past through a saved version of his father’s soul (it’s basically like a hologram, except more high-techy). Shortly after discovering this, as well as saving Lois and consequently gaining her interest, Clark gets a call from General Zod, having found where Clark is now located. 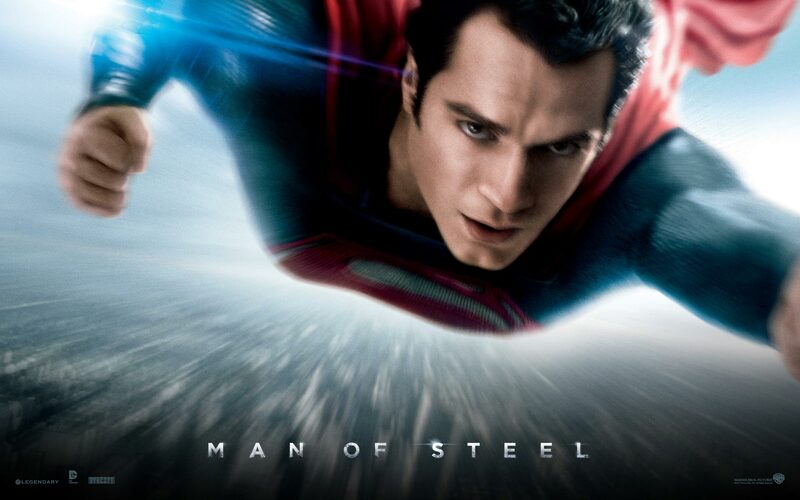 He is interested in re-creating Krypton with the blueprints inside Clark. Of course, they will need a planet to inhabit their people with, and unfortunately, they mean to take over earth. That’s a very brief outline of the plot, but without spoilers of course. I thought that the special effects were amazing. The story was good, and I liked the cast. I honestly didn’t particularly like the villain, but with some help from the movie, I do understand why he’s fighting so hard to save their race. It was just a bit hard to see it from his point of view when you think about earth being destroyed. Some parts of the movie was really cheesy. And some lines could have been omitted (i.e this one girl calling Superman hot…). I also thought that Lois and Clark’s relationship develops pretty intensely in a short period of time, but then again, it is a two hour movie. It’s out in two days! I think it’s still a pretty good movie, and is one of those that work a lot better in a cinemas with 3D. First blog post from Asia! That’s a rad Superman shirt. Tinseltown is an awesome theatre. That’s where you went right? I remember how much I loved the first Superman movies when I was a kid. You weren’t even born yet..hahaha. Yes! Tinseltown was where it was at! I honestly like it a lot more than some other theatres cause it’s usually not as busy! Good review Karen. I’m so excited to see this one! I must wait till the 20th for it to come out in the Netherlands though. Thank you! Ah, that’s soon enough! Have fun watching it!